You wouldn’t be the first to have a project grind to halt because of the PCB design. Everything is so easy while a project ‘lives’ on a breadboard or as an ‘aerial construction’... with a little soldering any problem is then quickly resolved. But the step to a final PCB design looks like a completely separate project! No wonder that a large number of our readers gladly leave that job to us, Elektor. And indeed — experience tells us — it is much easier for you to buy a PCB from us than for you to design it yourself and then make it or have it made. Circuit boards have been designed for many of our projects and we used to have these PCBs made in large numbers by PCB manufacturer Eurocircuits, after which you could order boards from us using the order form in the magazine, telephone or fax and later via our website. The older projects were available as special productions from the Eurocircuits PCB shop. Ah, the good old times... “sigh”. But, those old times were not all that good. 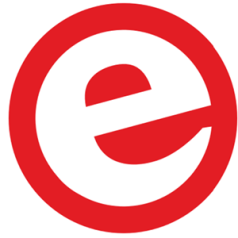 There was considerable confusion with these two separate outlets and we finally decided that the best way we can be of service to you is through just one outlet: the Elektor PCB Service. From now on, www.elektorpcbservice.com is the place to order the circuit boards designed by Elektor. 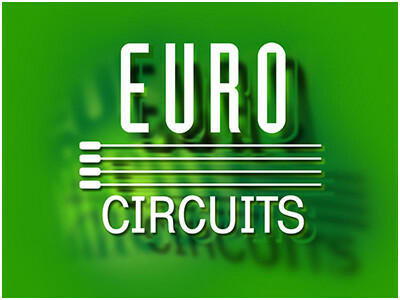 On our own website (section PCBs) you will see links to the Elektor PCB Service which will lead you to our business partner Eurocircuits, who will handle the order. The first three months after a project is published in Elektor magazine you’ll take advantage of no less than 25% discount at the original PCB price! Of course you can just as easily submit your own design for manufacturing. There’s an easy to use interface to calculate a prototype or small batch price for the PCB you have designed. 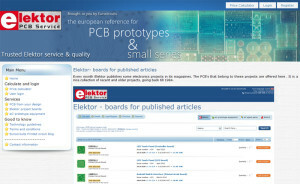 The Elektor PCB Service is open now — many thousands have already ‘boarded’.